Sports injuries don’t have to keep you sidelined. If you tweaked a hamstring, rolled an ankle or sustained another common injury while participating in your favorite sport—whether that’s professional soccer or pick-up basketball with friends—there are several steps you can take to reduce your pain and get on the road to recovery in the comfort of your own home. Consider trying some of the following self-care measures for sports injuries. Rest — Periodic rest plays a vital role in the recovery process. While too much inactivity may exacerbate symptoms, avoiding strenuous activities and taking time to relax is important. Hot/cold therapy — Heating pads can soothe tensed muscles and improve circulation around an injured area, while ice packs can help numb pain and reduce swelling. Gentle stretching — Providing you feel comfortable, implement a daily regimen of gentle stretching to release sore muscles and help prevent further injury. In the event that your symptoms do not improve with these self-care measures, or if your injury is severe in nature or causes a visible deformity, be sure to promptly consult with a physician. 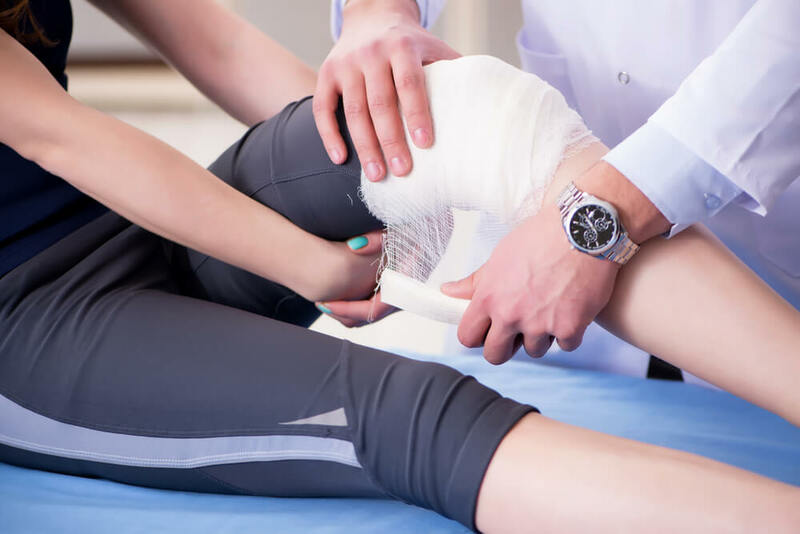 One of the most common and effective approaches to treating sports injuries is physical therapy. In fact, physical therapy is a key component of most sports injury treatment plans. Using therapeutic exercises and non-invasive techniques like massage therapy, manual therapy, ultrasound therapy and transcutaneous electrical nerve stimulation (TENS), physical therapists can accelerate the healing process and promote overall musculoskeletal health. In some cases, physical therapy can help patients delay or even avoid the need for surgical intervention. Contact Panther Physical Therapy today to learn more about our approach to treating sports injuries and to schedule an initial appointment.